Headstone of Joseph A. Barber (1860-1920) at the Conway United Methodist Church Cemetery in 2003. Born on Lake Conway, Barber became the first tax collector for Osceola County in 1890 and served in said position for four years. He also served as a member of the Orange County Democratic Executive Committee. 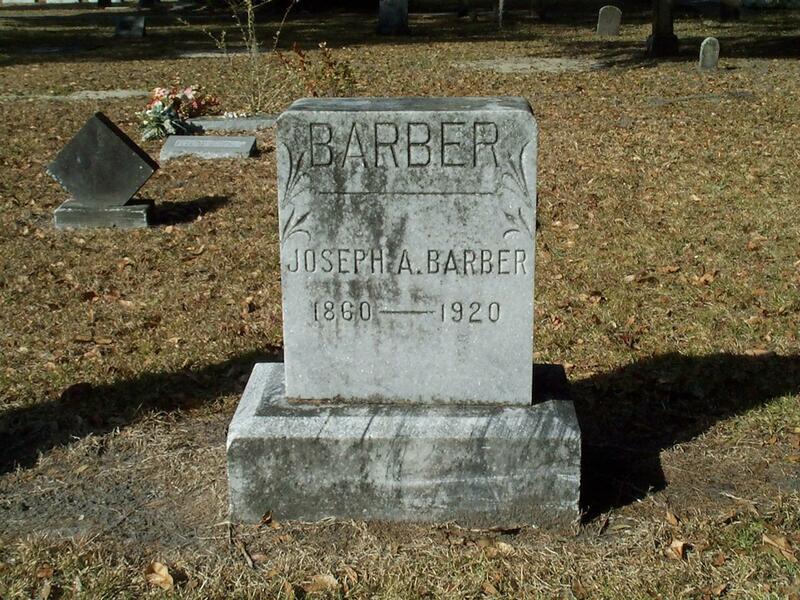 "Joseph A Barber." Find A Grave. http://www.findagrave.com/cgi-bin/fg.cgi?page=gr&GRid=21501780. Cook, Thomas. 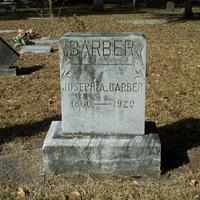 “Headstone for Joseph A. Barber at Conway United Methodist Church Cemetery.” RICHES of Central Florida accessed April 22, 2019, https://richesmi.cah.ucf.edu/omeka/items/show/1912.